The hotel is very fortunate to be surrounded by a remarkably diverse landscape, with the wondrous honey coloured villages of the Cotswolds, the majestic Malvern Hills, and the mighty Forest of Dean, all within a 15 minute drive, as well as the glory of the Severn Valley in which sit the Castles of Eastnor (10 minutes) Sudeley (20 minutes) Berkeley (25 minutes) and Warwick are only 40 minutes away. The Cathedrals of Gloucester, Worcester and Hereford are all splendid, and the beauty of Tewkesbury Abbey is not to be missed. There is, of course, much much more to see in this interesting area. Just ask at reception and the hotel staff will try to give you directions to anything you would like to see. 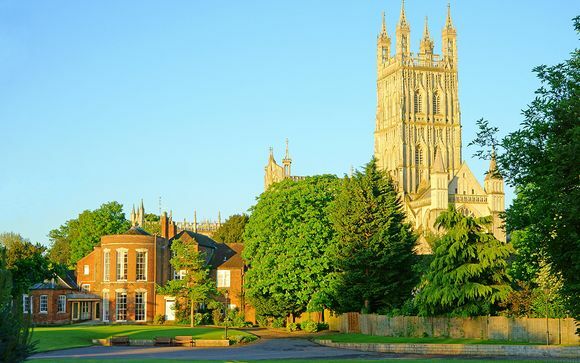 Charmingly situated in the Severn Valley between the Cotswolds, the Malverns and the Forest of Dean, Corse Lawn is within easy reach of Gloucester, Cheltenham, Worcester, Tewkesbury and Upton upon Severn as well as Tewkesbury Abbey, Hartpury College and Three Counties Showground. 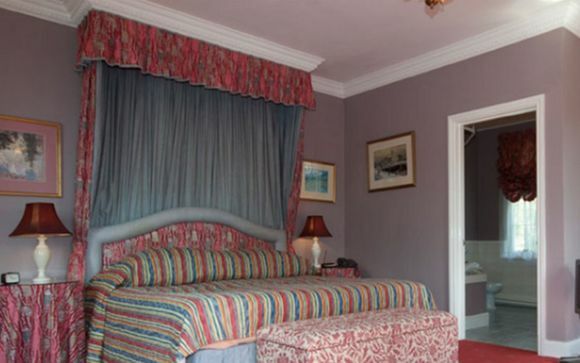 This quaint countryside hotel is ideal for a retreat in the idyllic English countryside. Currently the hotel is an AA Inspector’s Choice Hotel and ha in the past won a Cesar Award Winner for Best Country House Hotel from the Good Hotel Guide. The hotel restaurant has been featured in the Good Food Guide for the past 36 years (making us the 12th longest serving establishment) and is a past County Restaurant of the Year winner. These rooms are light and airy with King sized beds or Twins, with good sized bathrooms and furnished with antiques and decorated in attractive colours. All have sofas, desks, easy chairs, Tea and Coffee facilities with freshly ground coffee and leaf tea and fresh milk in the fridge, also bowl of fresh fruit and home made biscuits. Trouser press, hair dryer, iron and board, fan, TV, Telephone, Wi-fi, and everything you might need. This offer is based on a bed and breakfast stay. You may also opt to include a 3 course dinner on one night from the offer menu in the Bistro. The whole hotel revolves around the various dining rooms, whether it be the delicious breakfasts, relaxing lunches or great dinners accompanied by a serious selection of wines. Everything is made in the kitchen, from the canapes and breads to the petits fours, and they use local and sustainable produce with the help of loyal suppliers. 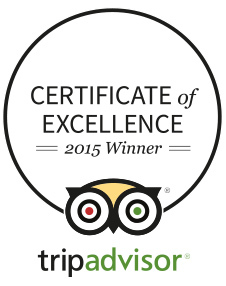 You can also see an extensive wine list awarded by both the AA restaurant guide and the Good Food Guide. 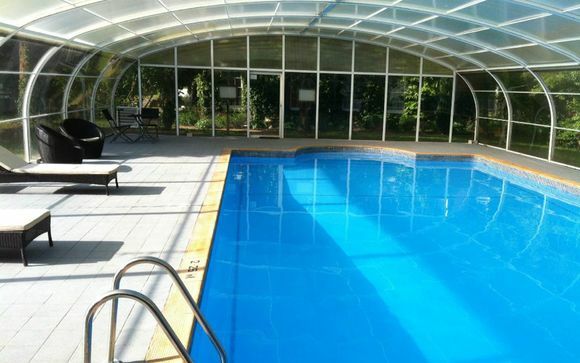 Leisure facilities are pretty typical of a traditional Country House, with an indoor swimming pool, a very good hard court tennis court, a croquet lawn that produces a lot of fun, and table tennis, as well as leisurely walks around the grounds or even more leisurely eating around the pond – weather permitting. M4 Get off at J15 and take A419 towards Cirencester. Once near Cirencester follow A417 towards Gloucester. You will come onto the ring road round Gloucester – follow the signs for Ross and Ledbury. Eventually, you will come to a roundabout with Ross straight over over and Ledbury to the right. It is the A417 to Ledbury that you want. 6 miles on, just after a garage there is a turning to the right – the B4211, signposted Tewkesbury and Upton. Corse Lawn is 2½ miles on the left hand side. M5 to J8 (M50). Get off M50 immediately – J1. Take A38 to Tewkesbury. Just before Tewkesbury (3 miles) turn right onto A438 towards Ledbury. Go 3 miles and turn left on B4211. Amongst others there is a finger post that says Corse Lawn 1¾ miles. We are on the right hand side. Come up M50. Get off at J2 and follow signs for Gloucester on A417. Go 6 miles and after a village called Staunton turn very sharp left onto B4211 – signposted Tewkesbury and Upton. Corse Lawn is 2½ miles on the left hand side. Come up M5. Get off at J12 (not J11) and follow signs into Gloucester. Then follow signs for the Docks and then Ross-on-Wye. Eventually, just the other side of Gloucester you will come to a roundabout with Ross left and Ledbury straight on. It is the A417 to Ledbury that you want. 6 miles on, just after a garage there is a turning to the right – the B4211, signposted Tewkesbury and Upton. Corse Lawn is 2½ miles on the left hand side.